Keeping customers on park traditionally has been a task many holiday parks find difficult to do. Our brief requested an increase the number of bathers using the existing indoor and outdoor pools and to help to encourage visitors to stay on the park. Arcade slots and drinking venues are outdated as parks introduce exciting attractions like the flumes and lazy river at Thorpe Park. 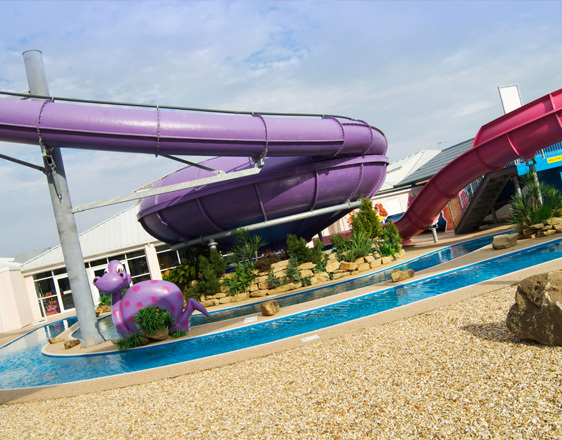 The fun starts inside the pool building where you can choose from a sedate lazy river, twisting flumes or thrilling space bowl. The flume twists from inside the pool building and back again. 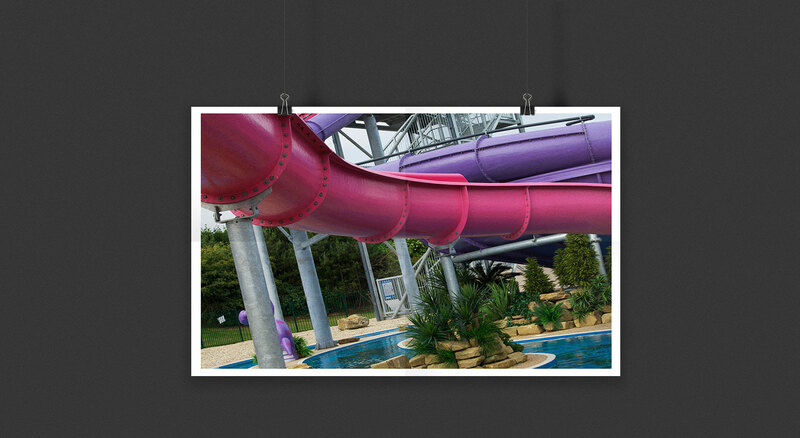 Features include a water spray and translucent panels to add to the interest and give an impression of more speed. Not for the fainthearted is the Space Bowl. 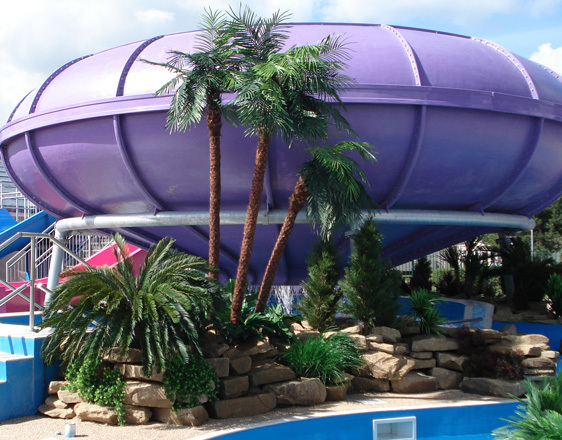 A short flume ride and then you are discharged into the bowl and your speed slides you around the bowl. Finally you drop through the centre into a plunge pool. 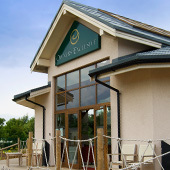 In the main outdoor area we developed an adventure golf course. Water features are a backdrop to the area which provides a focal point to the park’s central area. 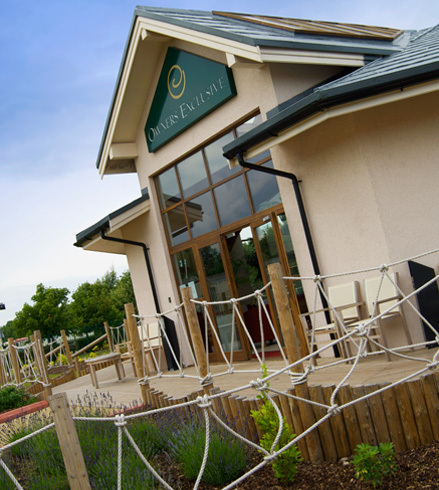 The golf course is overlooked by a new terraced decking area, where families can eat, drink and relax whilst watching the fun. It is surrounded by the swimming pool, splash zone, a café bar, show bar, amusement arcade, tennis courts, multi-use court and playground. This provides a safe, controlled and fun environment for children of all ages to shop, play and relax. Customers have the choice to stay on park for good food and entertainment. 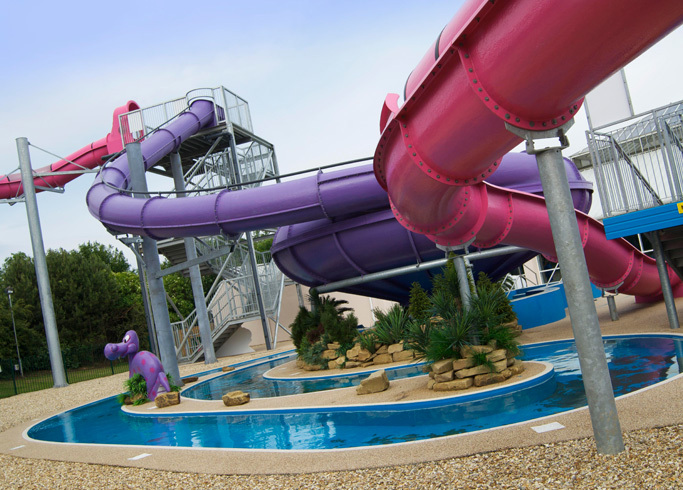 The whole project focused on the role that design can play in enhancing customer experience, improving enjoyment of the holiday and increasing revenues as a result. Working with GIA is a real partnership. Their artistic flair and professional approach to dealing with difficult design and planning issues has ensured that one of more mature yet premium business has been able to overcome perceived longstanding obstacles. As a result, we have seen the start of some fantastic projects and a re-energised product which is back achieving exceptional levels of financial growth.